Learn Java programming like a pro with the help of our simplified tutorials, examples and frequently asked Java interview questions and answers. Java tutorial for beginners and professional java developers! Since we started these tutorials, we’ve been dealing with sequential programming. The flow of sequential programming is usually downward, from top to bottom, and each and every line of code is executed unless you tell the program not to. The other two forms are just ways of telling Java not to execute every line. Last week, we saw the way Selective Programming works in terms of selecting the particular lines to execute. Another way of doing this involves the last form of programming, called Iterative Programming. 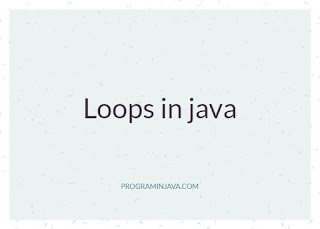 This form of programming involves the use of something called Loops. But this wouldn’t be efficient, especially when you’d like to count to a really high number, like a hundred or a thousand. An easier way to do this would be to tell the computer to go over one line of code multiple times until you reach 100. It then exits the code and continues running. Note: If you don’t define your loop very well, it’s quite possible that it will loop infinitely. It will only stop when you stop the program manually, and if left to continue looping, it could eventually crash your system. So, after the keyword ‘for’, you put a parenthesis, then in that parenthesis; you put your start value (saved into a variable), your end value and your increment value. The increment value is just the value you have to add to get to the next value (e.g. to get from 1 to 2, you add 1. 1 therefore is the increment value). The increment value is usually 1 by default, but you can always change it if you want to. After closing the parenthesis, you should put a curly bracket, then type in the code that you want to loop. After you close the curly bracket, you would have successfully written a For Loop. What this is going to do is count out all the numbers from 0 to 10 and print them out on the system console. You start by creating two variables: startVal is your starting value of course, while endVal is the ending value. If you’re wondering why the ending value is being saved as 11 when we want to count to ten, don’t worry. It’ll all be explained later. This means that the system should count until the starting and ending values are equal to each other. This, as I explained earlier, is the increment value. It’s just a way of saying “add 1 to the value of startVal, then keep adding 1 until the condition is met. Then after closing your parenthesis, you open a curly bracket and put a print statement with the name of your starting variable (startVal). This will print the values on the console in quick succession. So, anytime you need to increase your increment value, just change the value thee from 1 to whatever you need it to be. So basically, what we’ve done is trap the print line in a loop. Whatever is in the curly bracket will be executed again and again until the condition in the parenthesis is met (in this case, until the number of loops is less the 11). If you run it, the result on the output window should be 55. Notice the new variable ‘sum’ which is assigned the value 0. This is what will hold the value of the sum of all the numbers. We’ll get to why it’s 0 in a minute. This just says ‘take the value of sum (which is 0), and add it to your starting value, then save the new value of sum into itself and keep adding it to the incrementing values of startVal’. Basically, since sum is 0, the first loop will add 0 to 1, which will be 1. The value 1 will be saved into the variable sum, only to be added to the incrementing value of startVal, which is 2. The addi tion of 1 and 2 is 3, which will add again with the next value (3) to give 6. The cycle will continue until you get the final answer (55). See, if the print statement is in the loop, it will treat it as part of the loop, and print out the value of sum after each and every loop. That’s enough about that. 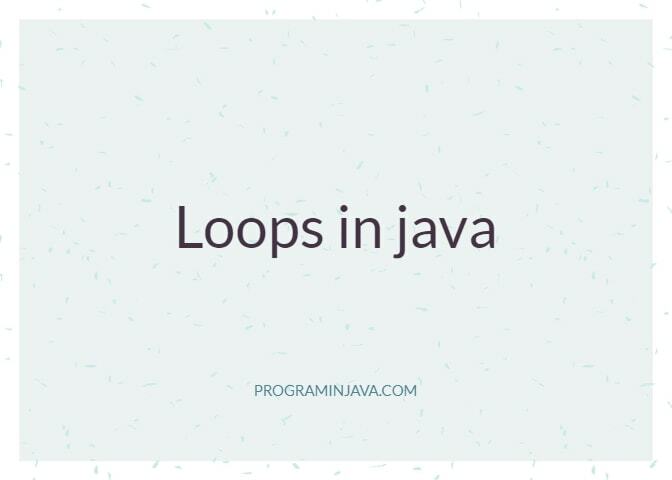 Let’s look at other types of loops. Now, we have our variable, startVal at 0. We then put our ‘while’ keyword, in lower case, and then a bracket, with our condition. Since we want to count to ten, our condition is 0 less than or equal to 10. Once the number of loops is equal to 10, the code will stop looping. In curly brackets, we have a print statement, which will print out our startVal for as many times as it loops. A major difference between the for and while loops is the positioning of the increment value. While the increment is in the bracket with the condition in For Loops, in While Loops, the increment is placed after the code, just before the closing bracket. I’d show you how to get the sum of all ten numbers, but I figure you should be able to do that yourself, so I’ll just look at another form of loops. I won’t spend much time on this, because it’s quite similar to the While Loop. It actually is just a While Loop with reverse logic. Where the While says “while this happens, do that”, the Do…While just says “do that while this happens”. It just says the same thing in a different way. The major difference between while and do…while is that if your condition already happens to be met, the do…while will execute it at least once. The while, on the other hand, will just skip the code and not do anything at all. Aww…homework? Why?! That’s probably what some of you are thinking. Well, I’ve got to test your progress somehow, don’t I. Don’t worry, it won’t be that hard, and it will put most of what you’ve learnt to practice. What I want you to do is make a program that allows you to enter a number, and print out the times table for that number, using any of the looping techniques, be it for, while or do…while. If you can do that, be sure to post your code in the results, and I’ll be sure to put the solution in the next post. If you have any issue and difficulty in any concept , leave us a comment . If you like the article please share it with your friends , colleagues. What is Classloader in java ?